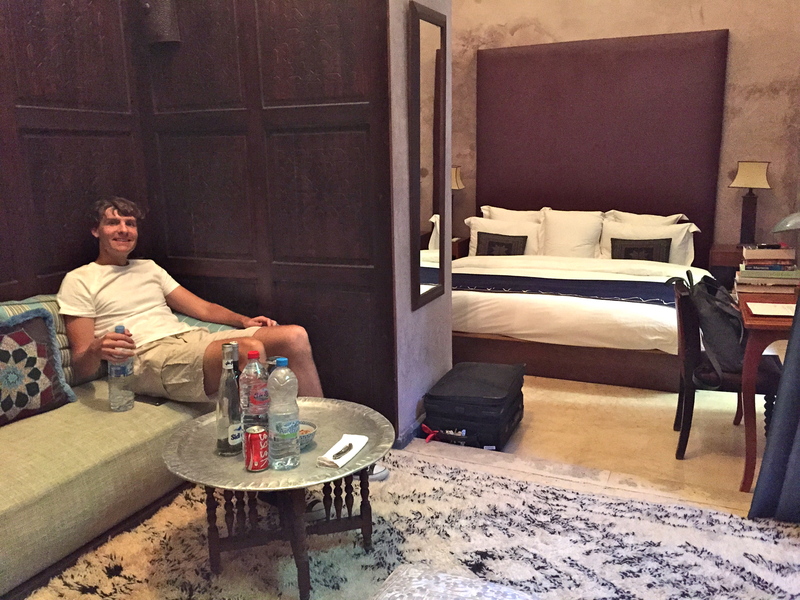 So after wandering the desert for forty years, I mean, four days, our driver dropped us off at El Fenn in Marrakech. 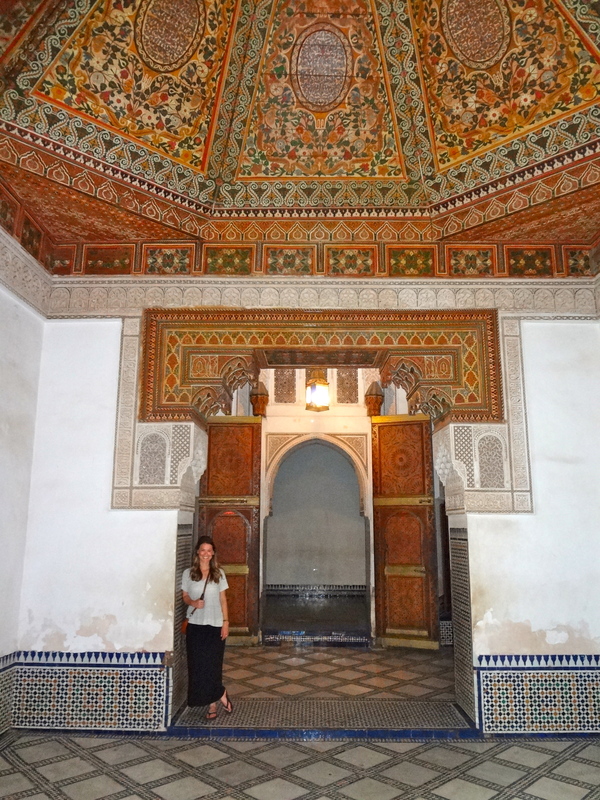 To say I was thrilled to walk through those doors is a gigantic understatement, as it was my 30th birthday and I had a good dose of Moroccan food poisoning the night before and still felt pretty wretched. 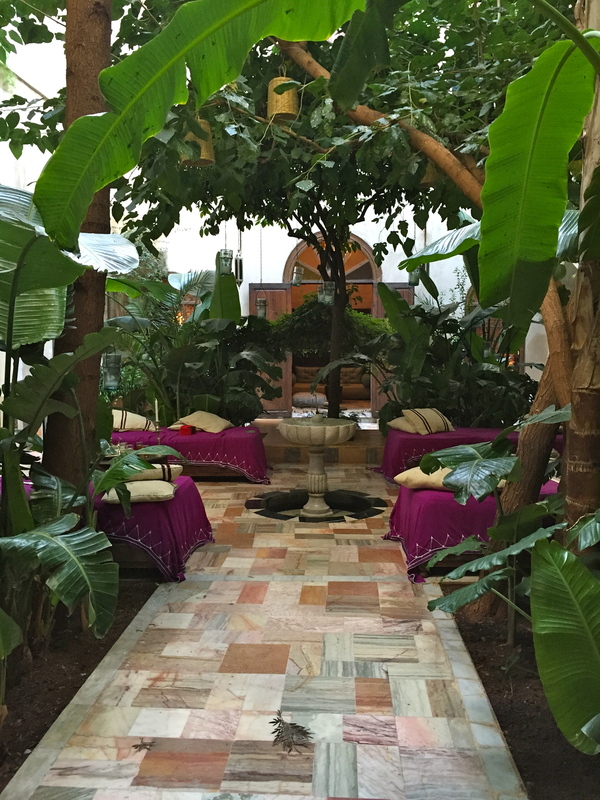 I had high expectations for the hotel and was a bit nervous that I’d be setting myself up for disappointment, but our experience at El Fenn was absolutely wonderful and I would highly recommend it to anyone looking to stay in the medina for a few days. 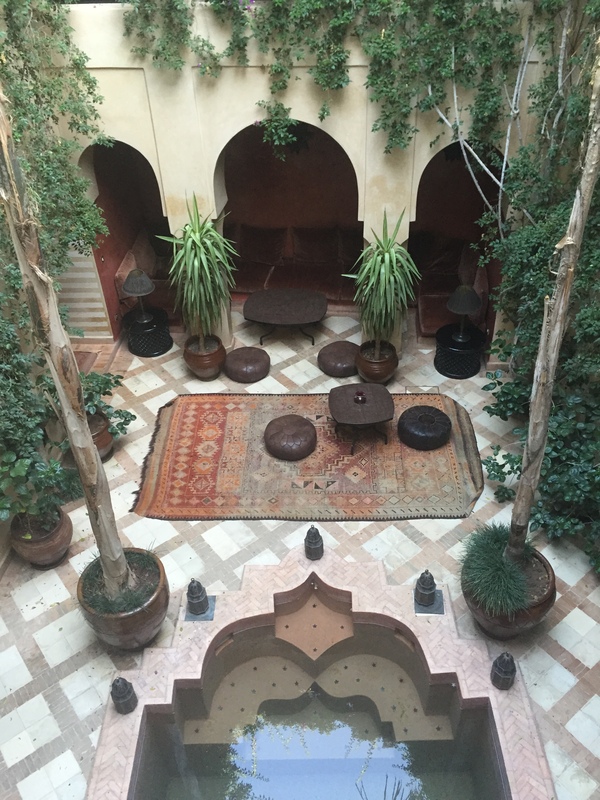 There are many ultra-fancy hotels outside the medina in Marrakech, but we loved that El Fenn was in the middle of the action yet still completely calm and relaxing. The wonderful staff was so helpful and genuine, and everyone there always greeted us with a smile. The food at the hotel was also very delicious, although I didn’t have much of an appetite during our two-night stay. 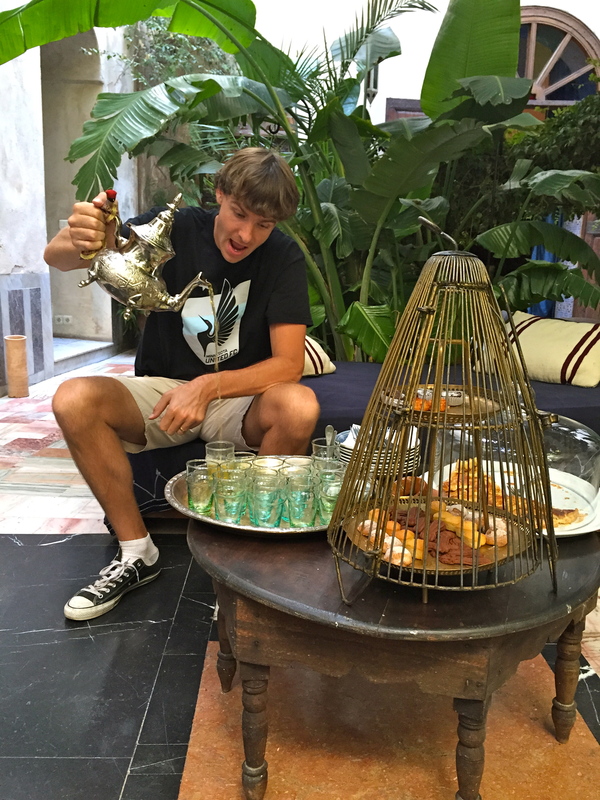 However, we did every much appreciate the daily tea-time pastries and complimentary drinks. 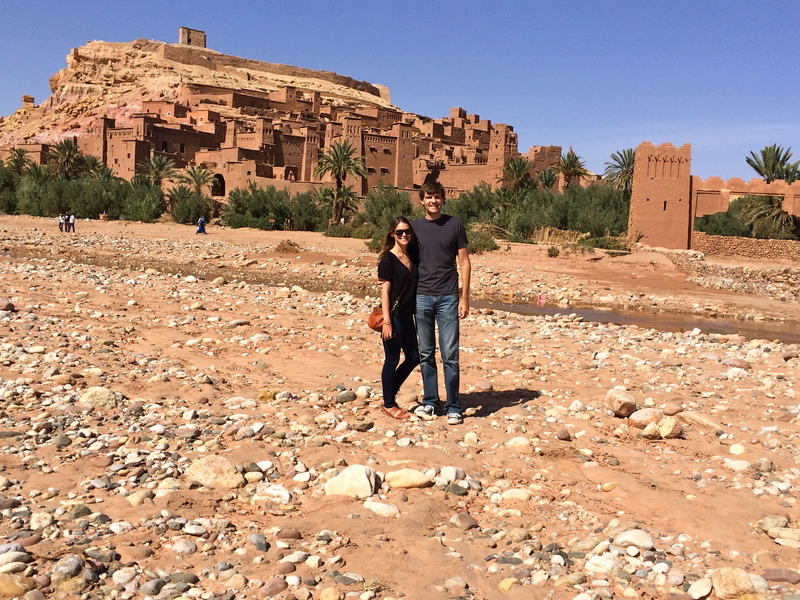 When we originally booked this trip to Morocco, all we knew was that 1) we wanted to use Marrakech as our base city, and 2) we needed to do some sort of desert tour. 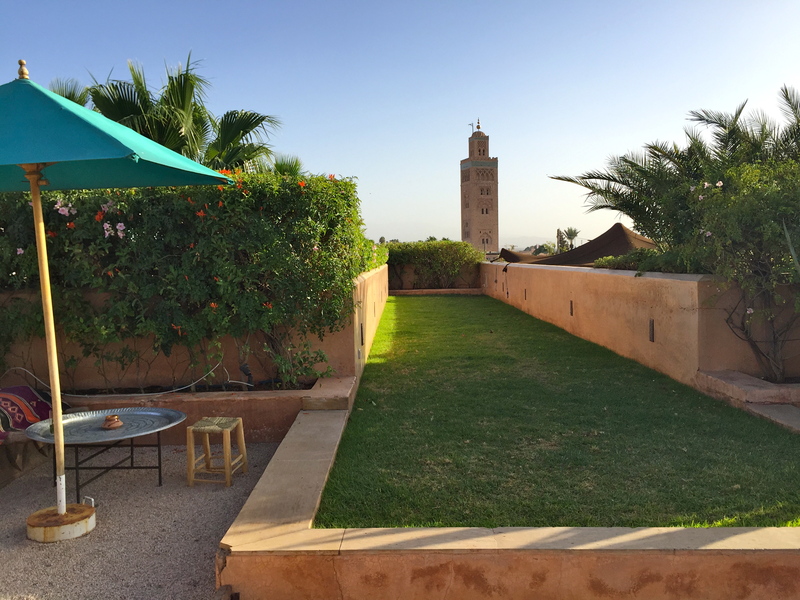 We quickly learned that in order to see the desert properly from Marrakech, you need to either rent a car yourself or hire a driver to take you on a four day-minimum itinerary. 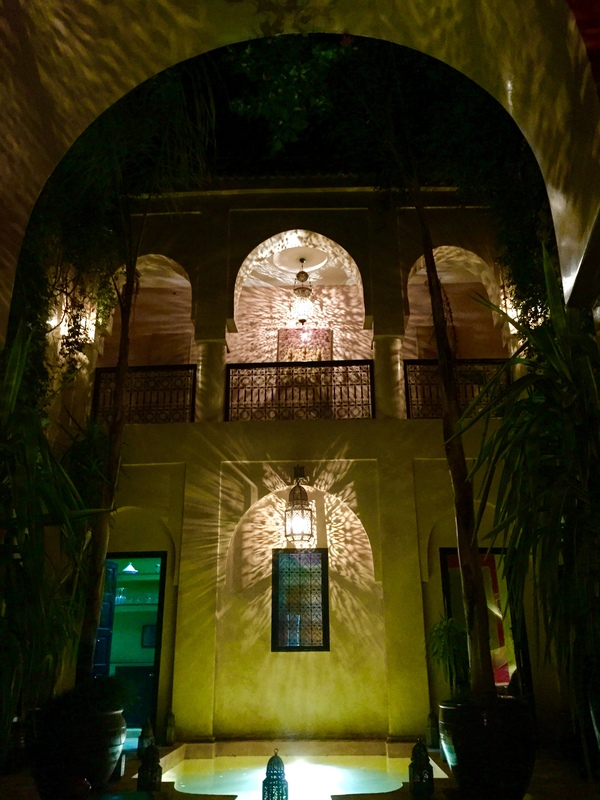 Without really knowing what to expect, we asked our first hotel, Riad Meriem, to book a four day tour on our behalf. 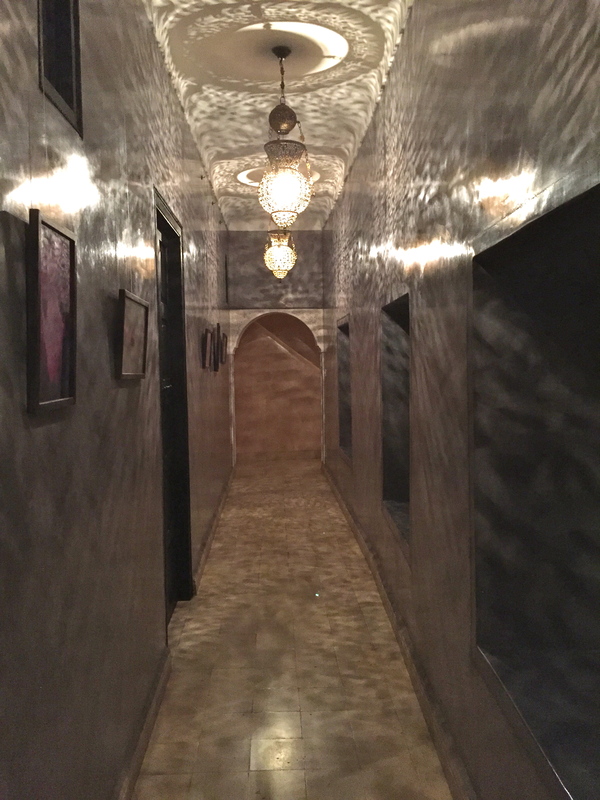 I’m not sure if it’s company that Riad Meriem always recommends, but they signed us up with a private tour via Aztat Tours. To be quite frank, I was a bit nervous when I noticed that their company name didn’t match what’s on their website (e.g. 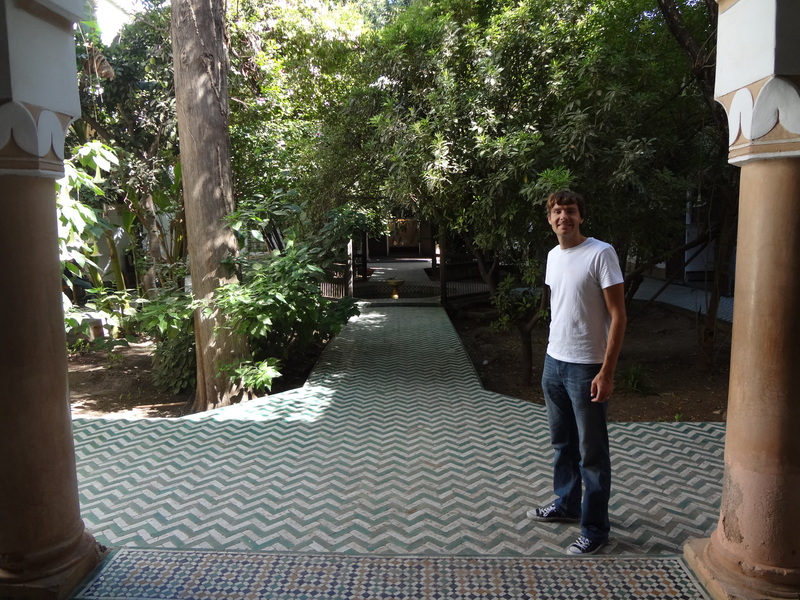 Aztat and Atlas) and that they asked for the money up front in cash when we were picked up from our riad, but their reviews were good on Tripadvisor, so we went with it. Let’s start with the good stuff. Our guide Mustafa, while not necessarily the friendliest of guys, was an excellent driver. 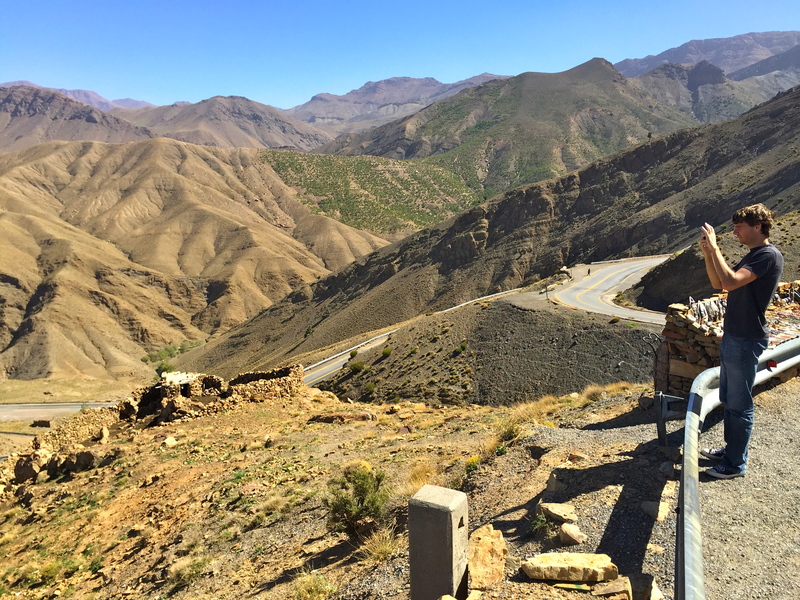 His 4×4 seemed well-equipped to handle the windy, bumpy Moroccan roads, and he knew the country like the back of his hand. He had a cold and his English wasn’t so great, but we were just relieved that he delivered us safely to each of our destinations. 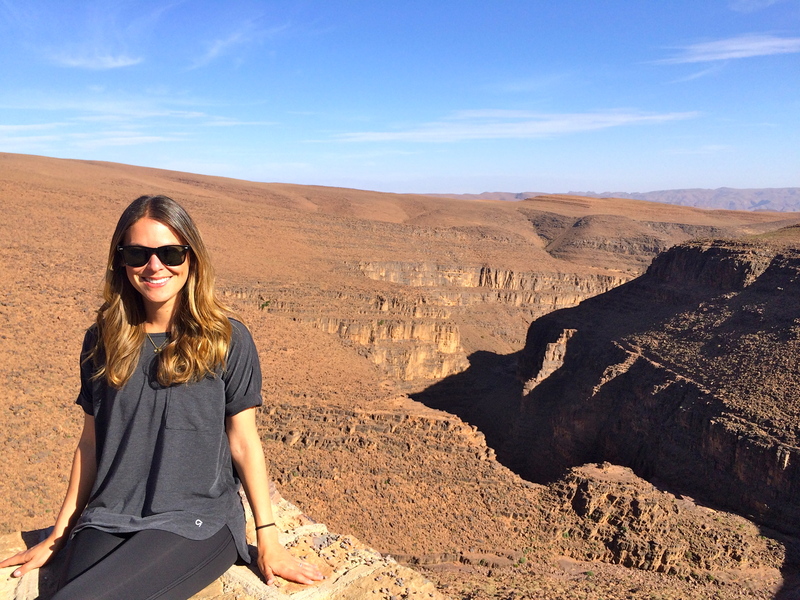 Also, the Moroccan landscapes that we saw throughout the four day tour were nothing short of breathtaking. 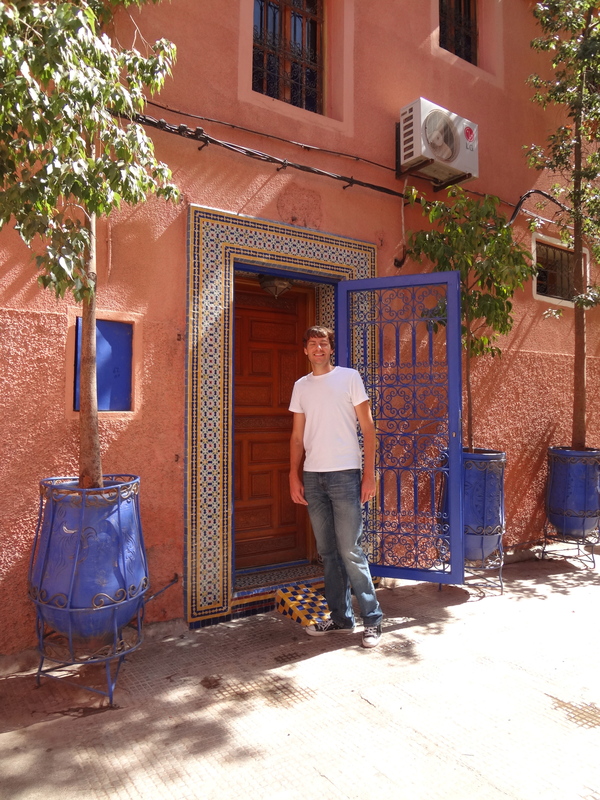 Mustafa whisked us away from the Marrakech medina and before we knew it we were in the middle of the Atlas Mountains. 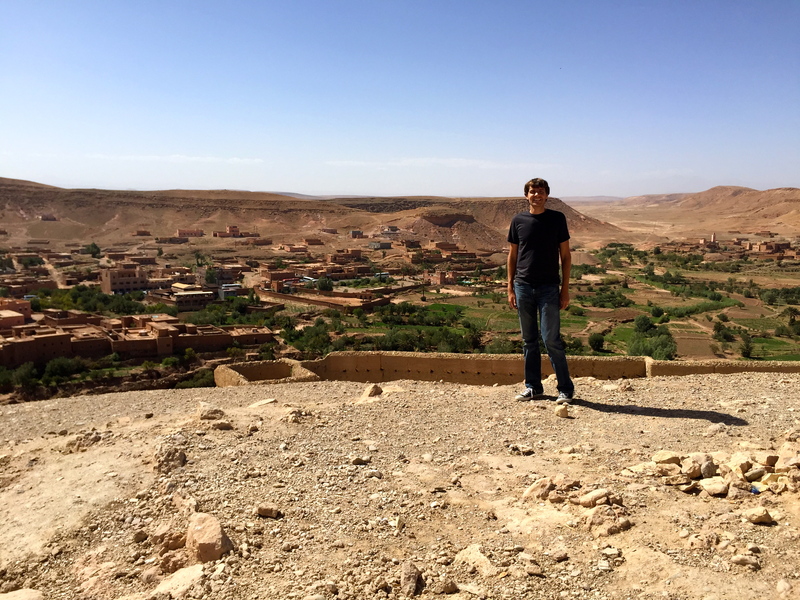 A few hours later we were back on flat ground and walking around the ancient Ait Benhaddou kasbah, a UNESCO World Heritage Site where films like Gladiator and Lawrence of Arabia were shot. 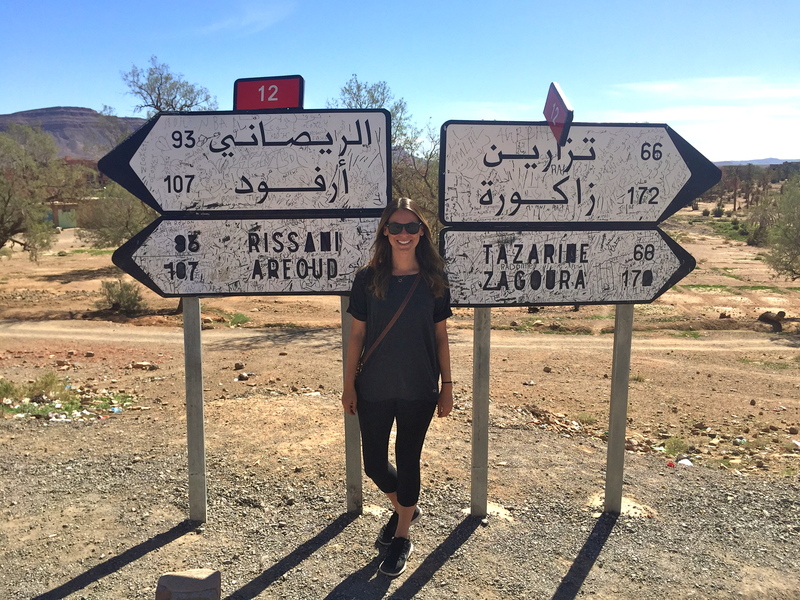 The next day it seemed as though we visited several completely different planets because the terrain started out flat and rocky in Ouarzazate, then suddenly we were overlooking massive canyons, then we were in the green Draa Valley, and finally we arrived at the gorgeous golden sand dunes of Merzouga (a.k.a. 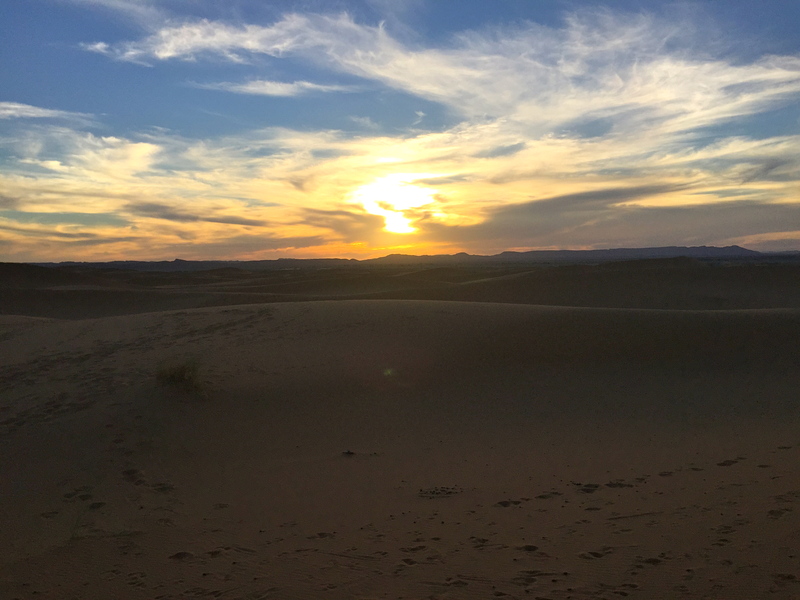 Erg Chebbi). 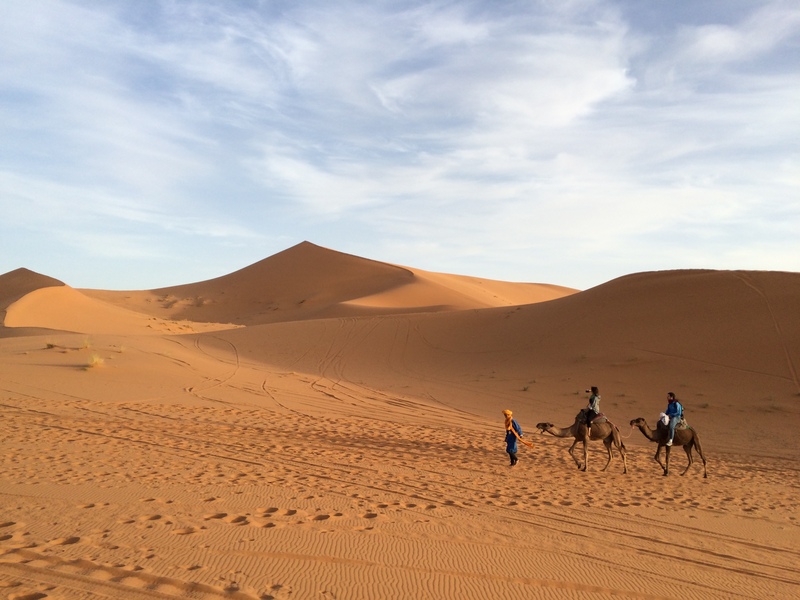 The camel trek and Berber tent overnight were definite highlights of the trip, and as you can see below it is shockingly difficult to take good photos while riding a camel. 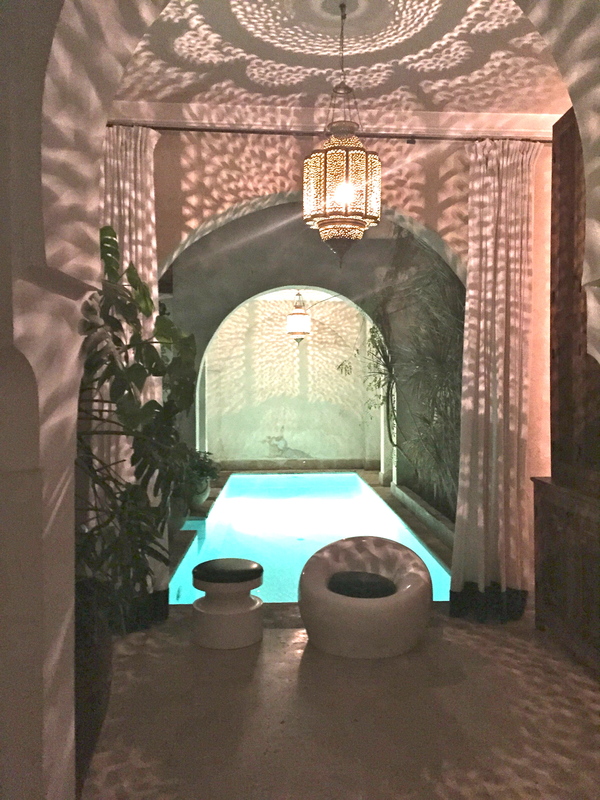 My husband and I just got back last week from a pretty awesome eight day trip in Morocco, but I must admit that I’m glad to be back in San Francisco. 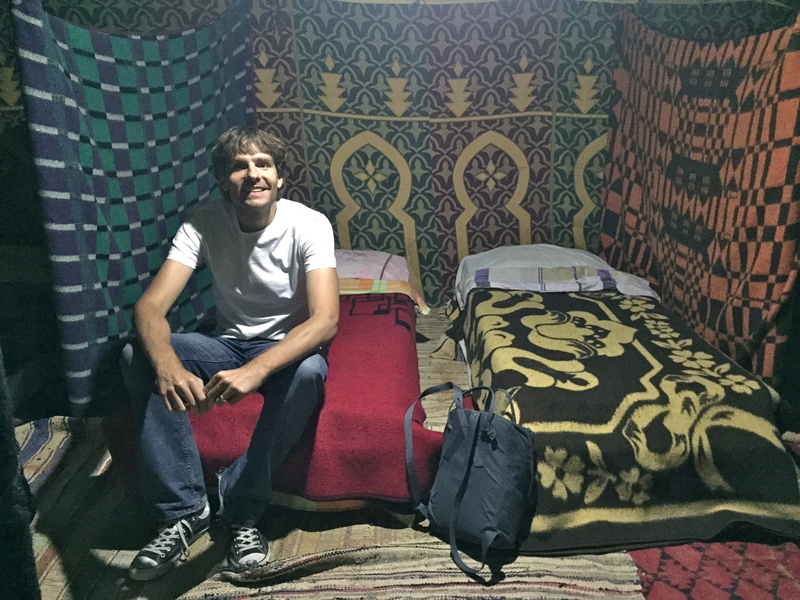 Don’t get me wrong, it was a great vacation, but it was one of those trips that also made me really appreciate the comforts of home. 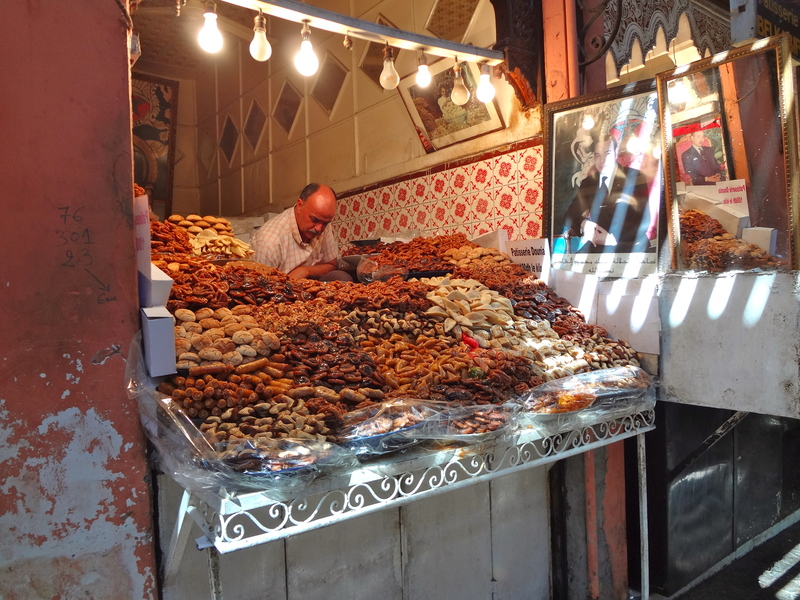 During our first full day in Marrakech we sought out some of the major tourist attractions such as the Ali Ben Youssef Madrasa, Bahia Palace, Jemaa el Fna, and Dar Si Said, and in between we made sure to get ourselves lost within the never-ending maze of souks. 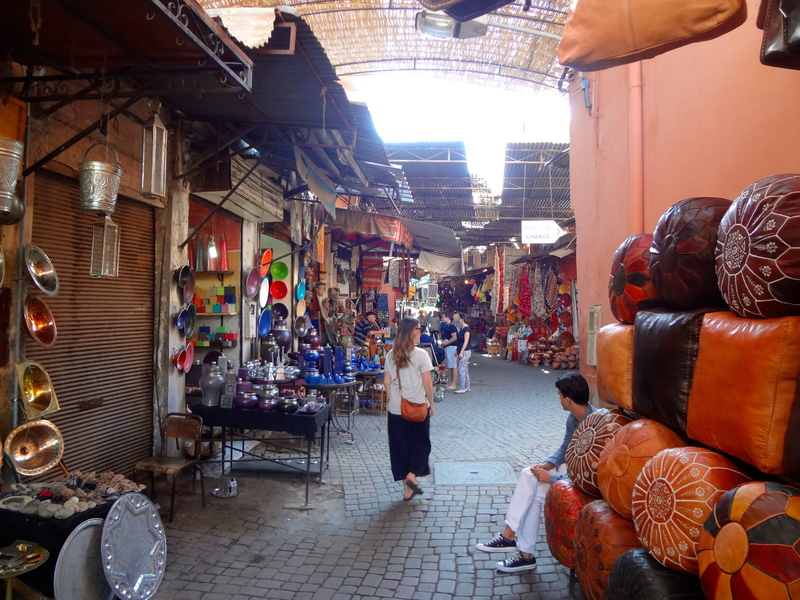 In retrospect, I wish that we had hired a guide to show us around the souks with a bit more of a sense of purpose and context, but it was fun getting lost on our own nonetheless. 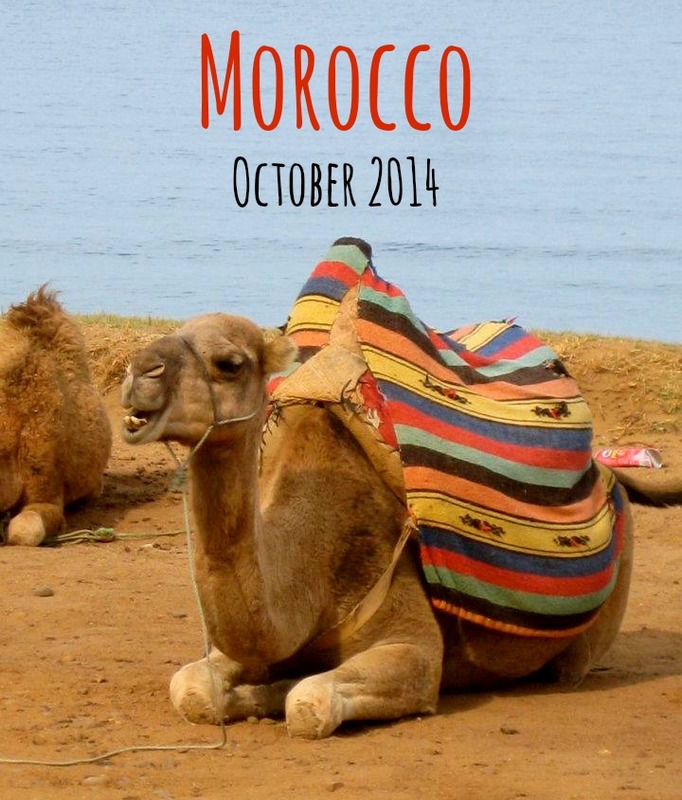 Our Next Big Trip Will Be… Morocco! Hope you all had a great weekend! 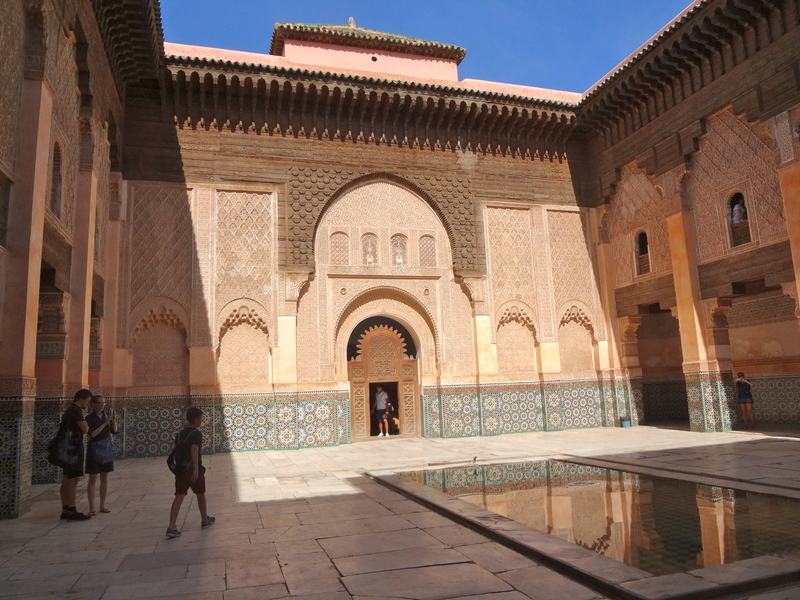 We spent ours binge-watching Orphan Black* and booking our next big trip to MOROCCO! 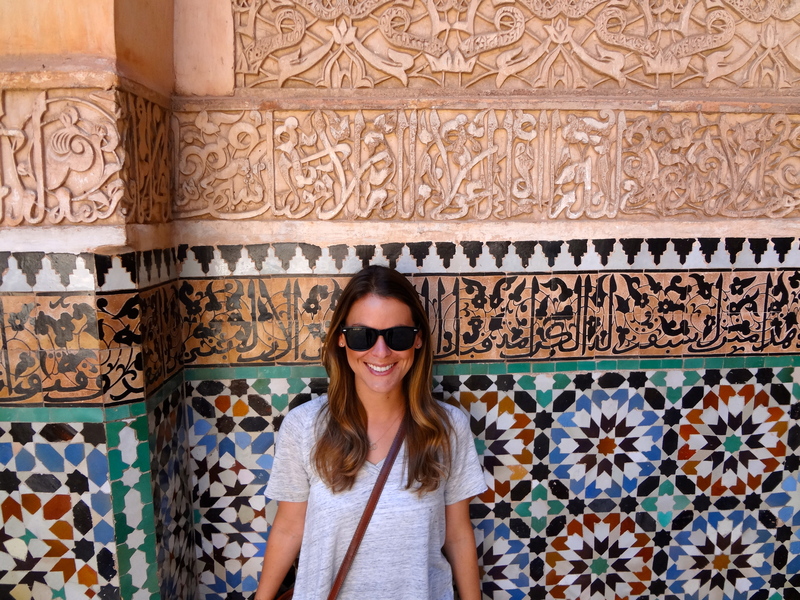 As I mentioned in a post a few months ago, Morocco has been on my wanderlust list for awhile. 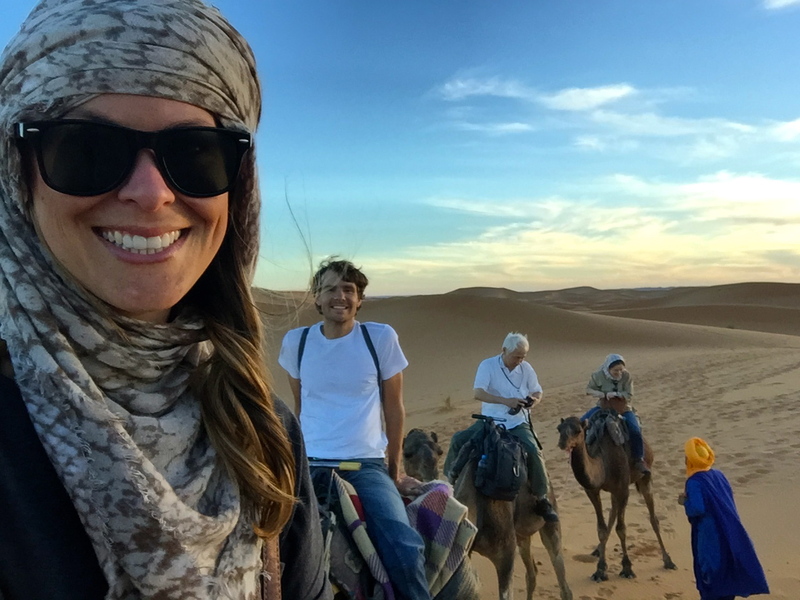 Aaron and I haven’t been anywhere in Africa yet, we love warm weather destinations, the food is supposed to be fantastic, and CAMELS! 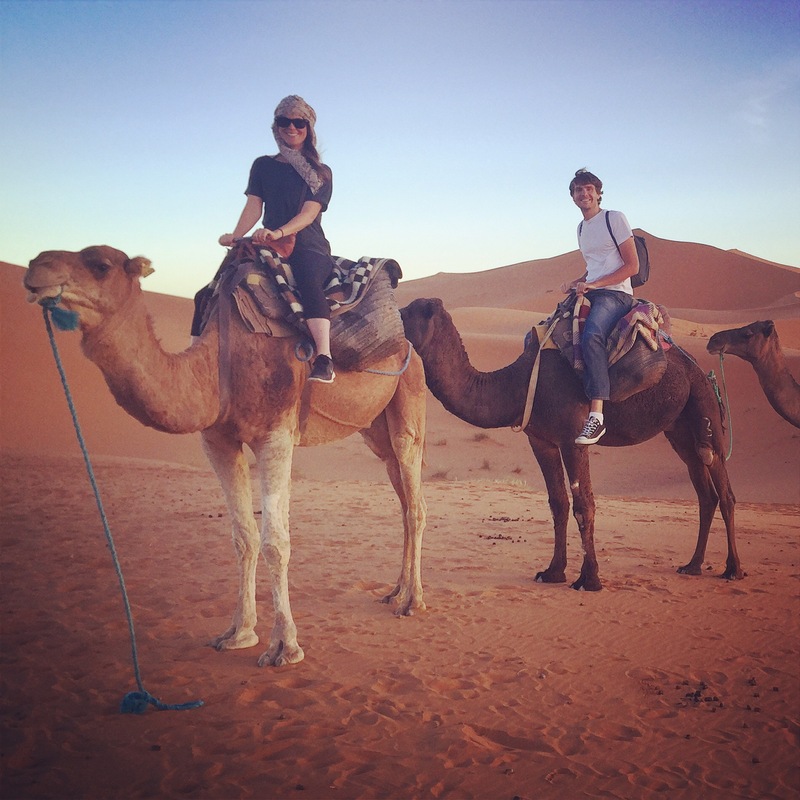 Okay fine, camels don’t dictate where we decide to go on vacation, but Aaron hasn’t ridden one yet and I think it’s pretty important that he does so soon. 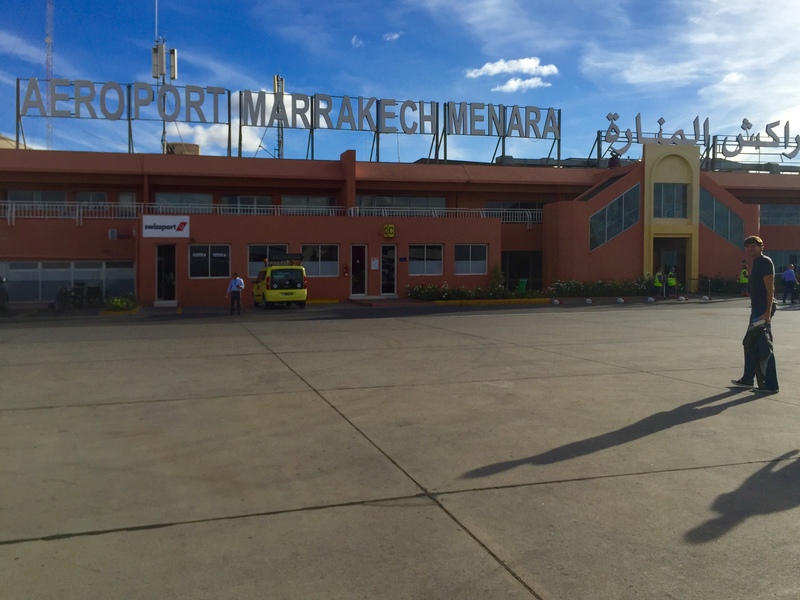 All we’ve booked so far is our flights into and out of Marrakesh, but I can’t wait to start researching where to go and what to do. 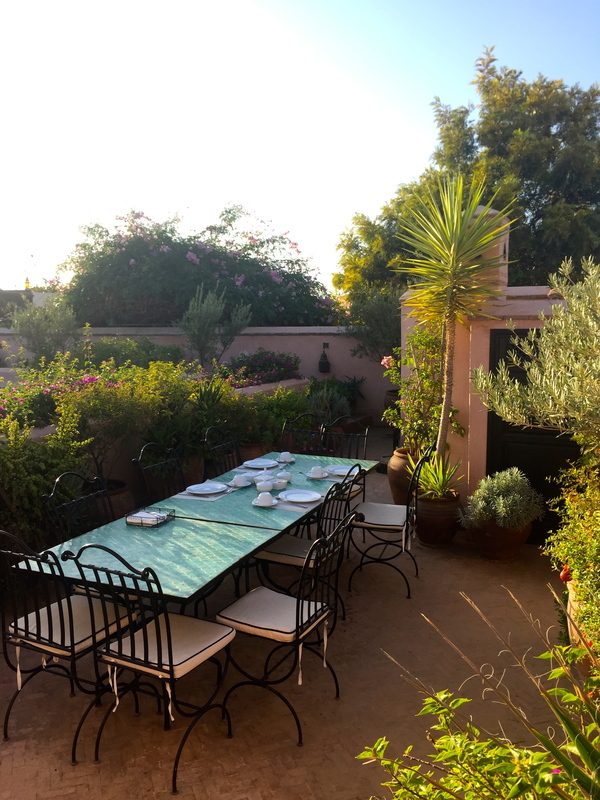 I’m hoping to spend several days exploring the city, a few nights by the sea in Essaouira, and some sort of desert excursion. Other than that, we’re totally open to suggestions! 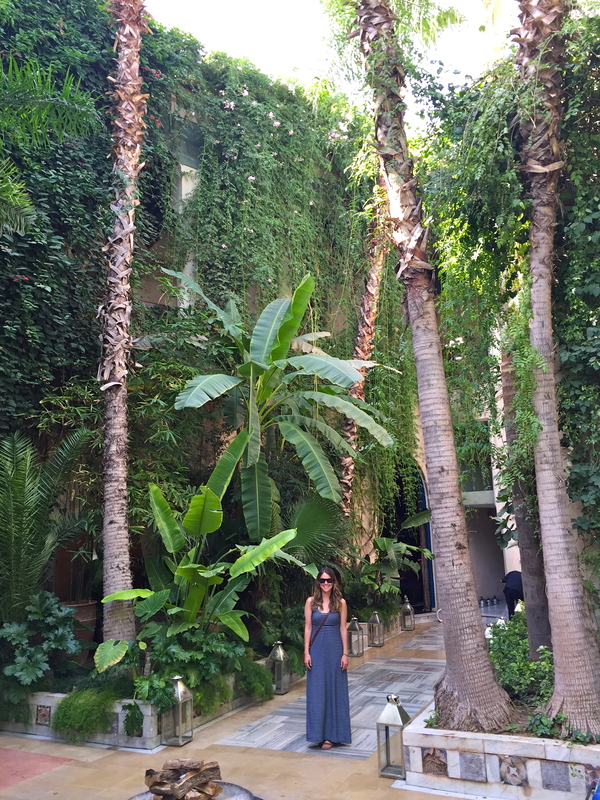 My last blog post about travel envy was kind of a bummer, so I decided that I needed to write something a bit more positive before the week was over. Instead of dwelling on the fact that I’m not going to Istanbul with Aaron, I started thinking about the 10 countries I’d most want to visit. My only criteria for the list was that 1) I had to include countries that I’ve never been to before, and 2) they had to be places I’d want to visit in the near future (i.e. 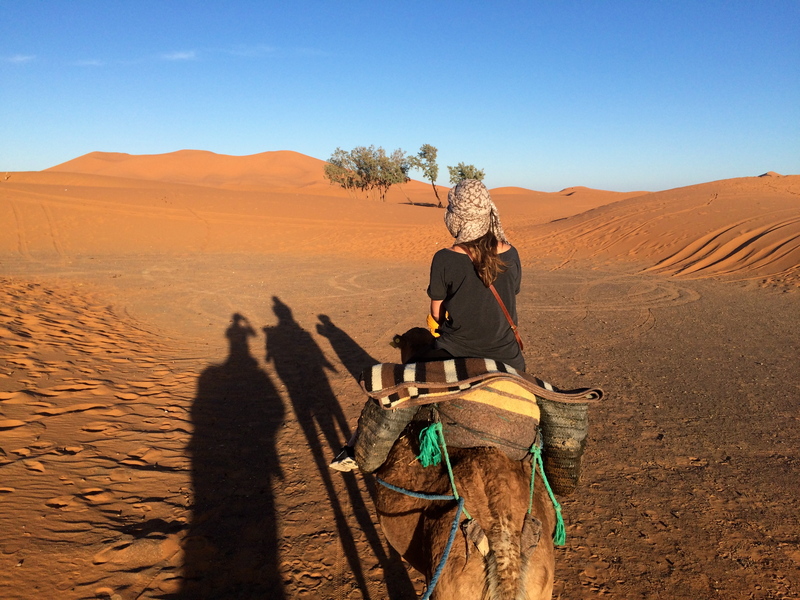 in the next 10 years or so – not when I’m much older and less adventurous/active), which was pretty easy because I haven’t been everywhere… yet. Up until very recently, Cambodia was totally at the top of my must-see list. 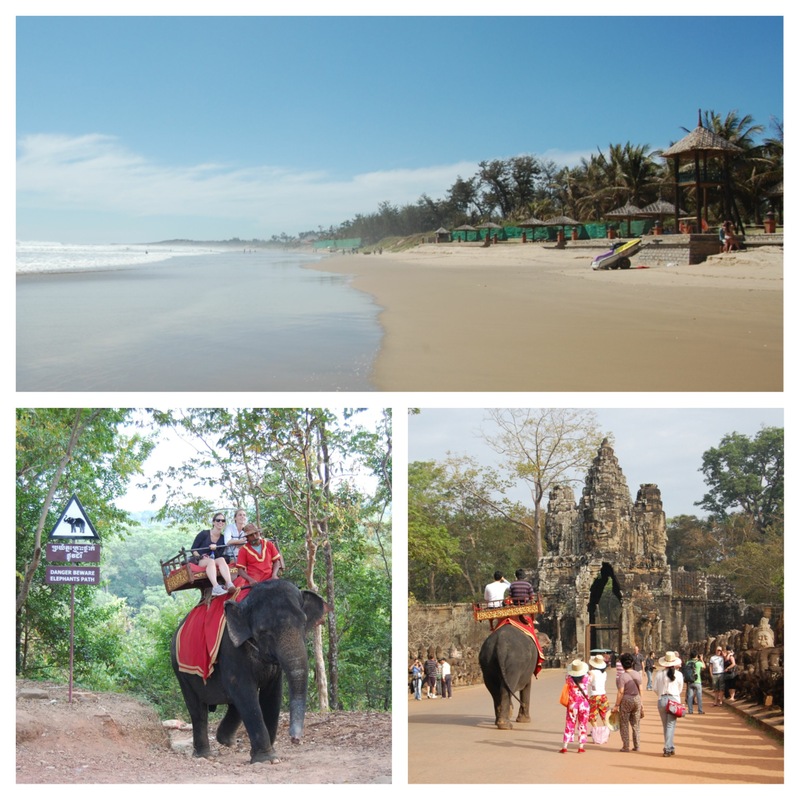 Throughout our honeymoon in Bali & Vietnam, we met several other couples who just raved about the food, beaches, friendliness, and cheapness of Cambodia, not to mention the complete awe of experiencing Angkor Wat. However, another travel blogger that I highly admire recently wrote about why she thinks that Cambodia has recently changed, and not for the better. Kate really knows her stuff, so I believe her when she says that she didn’t love her latest experience there. I’m hoping though that things will turn back around for Cambodia, so I can get enthusiastic again about visiting it. 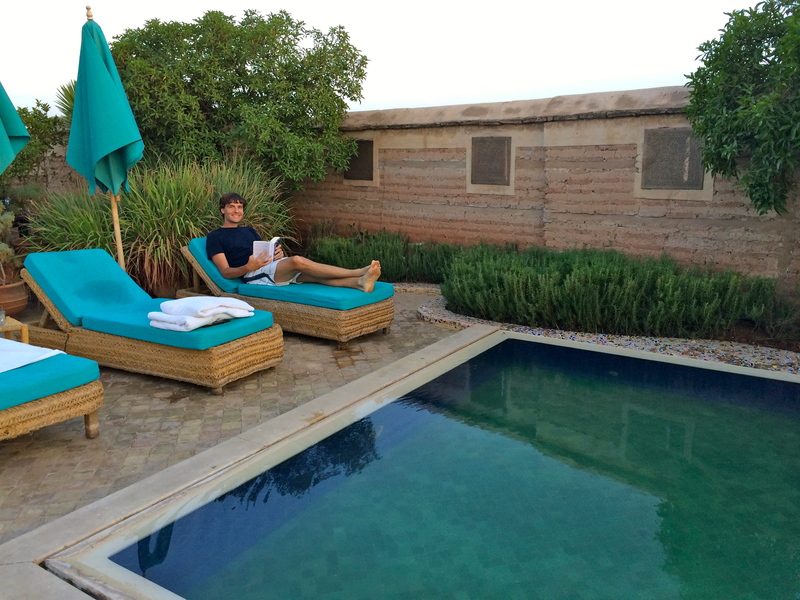 Cambodia – thanks for the pics, Alice! Aaron and I had so much fun backpacking around South America in 2009, but we felt a bit amiss that we didn’t make it to Chile. Ideally, our trip there will include experiencing cosmopolitan Santiago, snowboarding in Portillo, surfing in Pichilemu, and a few days exploring Easter Island. 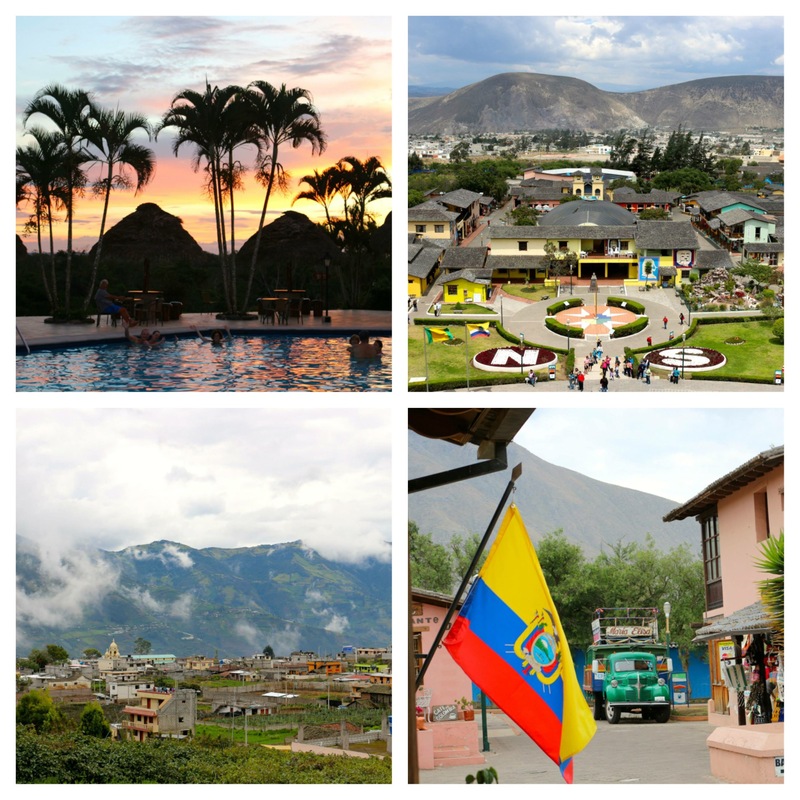 Aside from wanting to see the Galapagos Islands, I’d never thought too much about visiting Ecuador; that is until my friend Jen came back from a trip there last year and had the best time ever. She promised that she’d one day write a blog post about her trip (right, Jen? ), so I’ll leave it to her to tell you why she fell in love with the country. Ecuador – thanks for the pics, Jen! The Blue Lagoon, live music, Northern Lights, Einstock beer – what’s not to like? If there were direct flights from Reykjavík to Dublin, we would have combined Iceland with our Ireland trip last summer. My family friend visited Mauritius during her Semester at Sea, and as soon as I saw the photos of the perfect turquoise water and bleached white sand, I knew that I’d have to go there some day. It was definitely in the running as one of our own honeymoon destinations, but we’d like to combine it with a few weeks in South Africa as well, and we didn’t think we’d be able to do all of that right after the wedding. 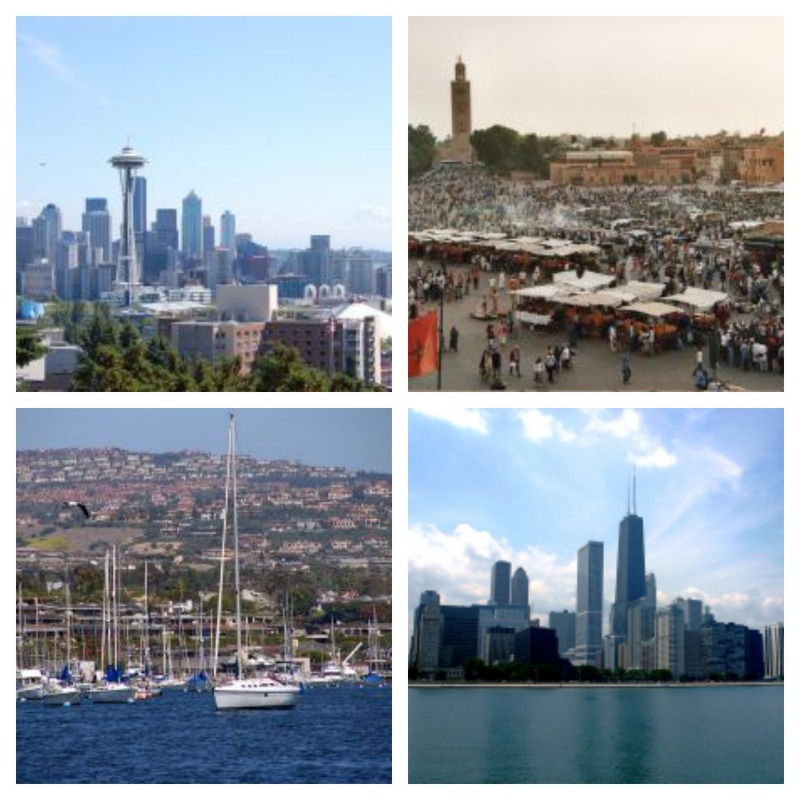 I guess it will just have to be the destination for a special anniversary trip, right? 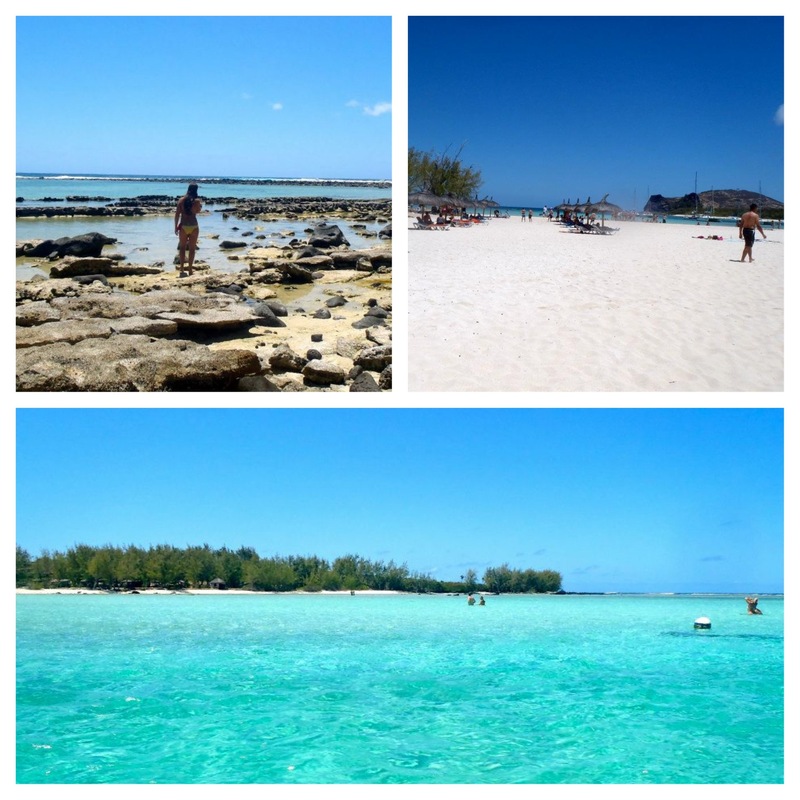 Mauritius – thanks for the pics, Hana! 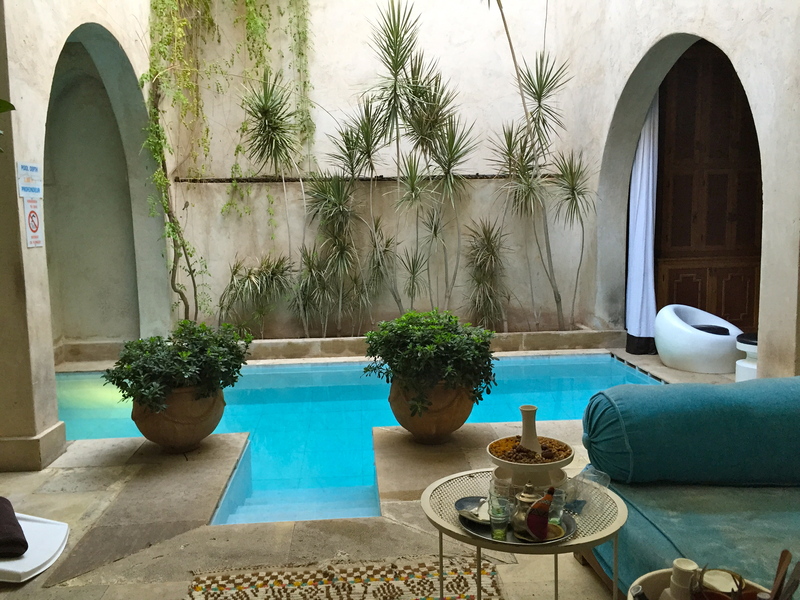 As soon as I can find the time to spend a week in Marrakech, I’m going to make it happen. My friend Daniel was lucky enough to spend this past NYE at this insanely beautiful estate, and said that he just thought the whole area was really beautiful and interesting. 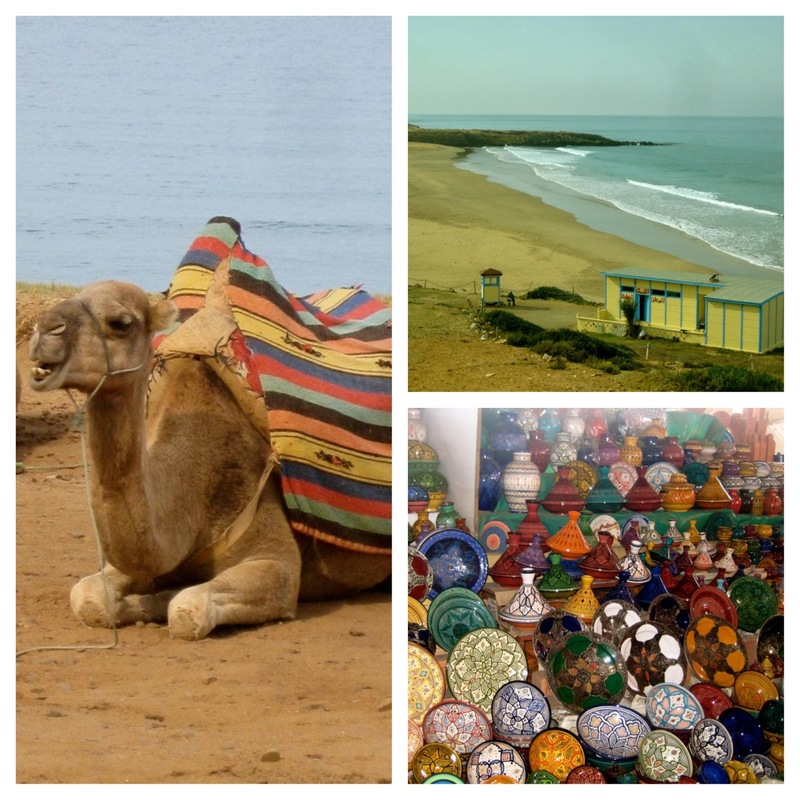 Also, my mom and sisters got to ride camels near Tangier a few years ago which looked really fun. 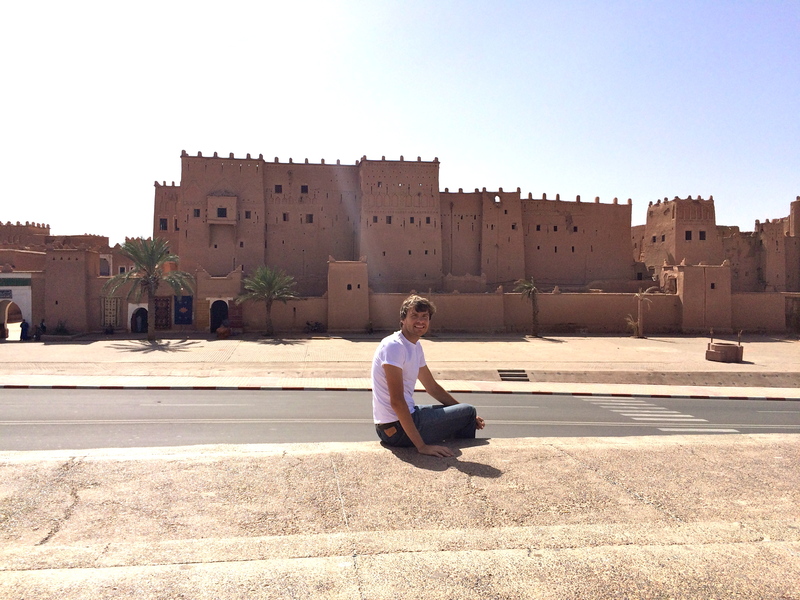 Morocco – thanks for the pics, Rachel and Nicole! 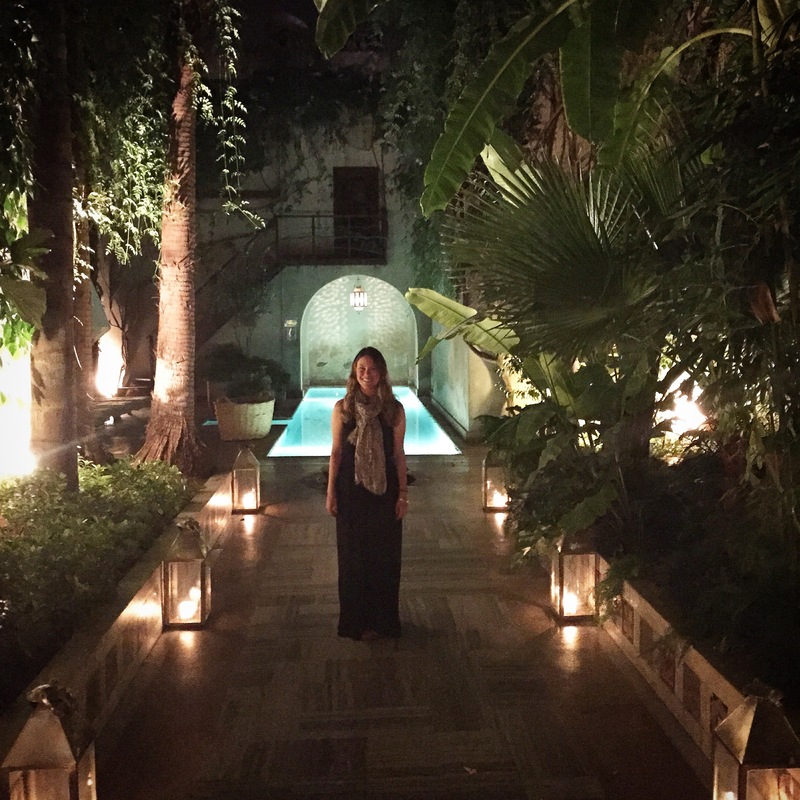 One of my friends from college has lived in a handful of foreign countries since grad school, and although she’s currently living in Kabul, she is supposed to head back to Yangon soon. Only recently a tourist destination, she says that traveling around Burma is like going back in time. Aaron and I want to see what that’s like before everything becomes too modernized.